A dental implant or fixture is a component that is surgical in nature and which is used to interface with the bone of the jaw or skull to provide a support to a dental prosthesis like the Crown, Bridges, Denture, facial prosthesis etc. The dental implant also acts as an orthodontic anchor. 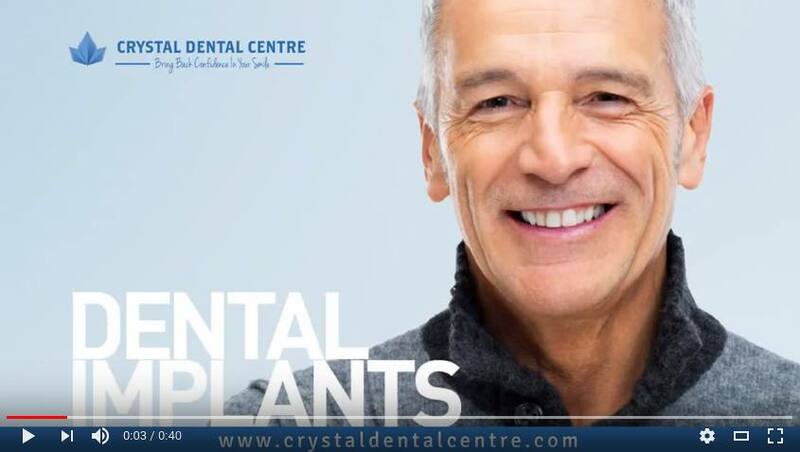 Crystal Dental Centre, India adopts several techniques which can be implemented for dental implants one such method is All on Four Implants. Though Dental Implant is a beneficial procedure for people with denture problems, there are several risk factors and complications associated with this process. However, if the implant is maintained with great care, it can last for a long time. While talking about the various techniques of dental implants, we come across the name “All on 4” or "All on four", which is a trademark name given to a denture that is permanently attached to the jaw by four implants. 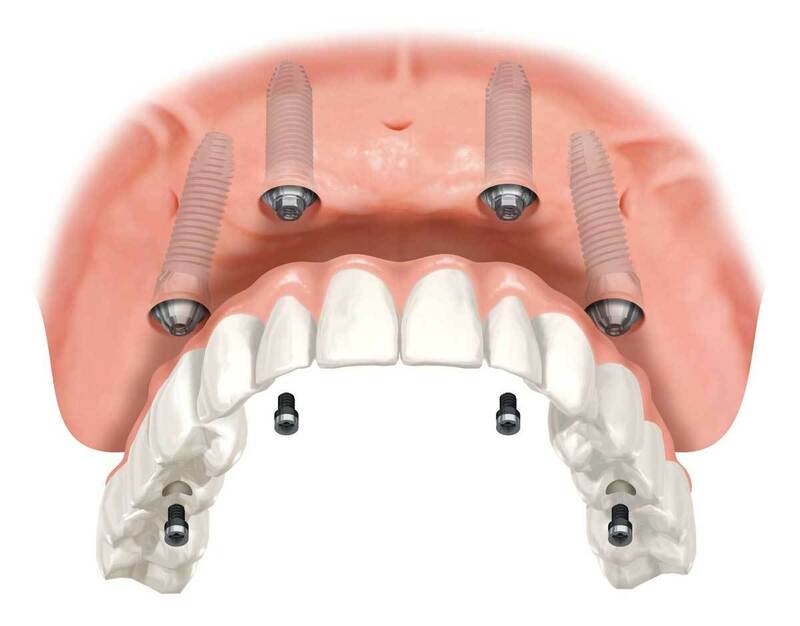 The four implants are made in the four jaws and hence the name is given. This type of implant makes the use of acrylic as the denture. With a huge advancement in technology, the number of fixtures must not be four anymore. But, the name “All on 4” is immensely attractive and so the name remained in use. The name is abbreviated as AO4. What does this All on four Implant process actually mean? All on 4 is a type of implant which attaches to at least four implants. It is a very good and adaptable procedure. This type of implant is removable by the doctor on a requirement. Though it is a convenient process, it has several disadvantages to the patient mostly. Due to fewer implants, this process provides one or two fewer teeth at the back of the jaw. Moreover, if any of the implants fail to function properly among the four then the whole prosthesis may fail to function properly. Since these implants use acrylic instead of porcelain for the fixture, they are less durable and have lesser aesthetic values. Moreover, acrylic is difficult to clean up since it is much more porous than porcelain. Uncleaned dentures may produce bad odor and make one feel uncomfortable. Gives a fully functioning, new teeth within a short time. Improves the facial appearance of the individual even in the absence of one or more teeth. One can eat foods of all consistency without hesitation. Health issues associated with distorted or disrupted teeth can be avoided. 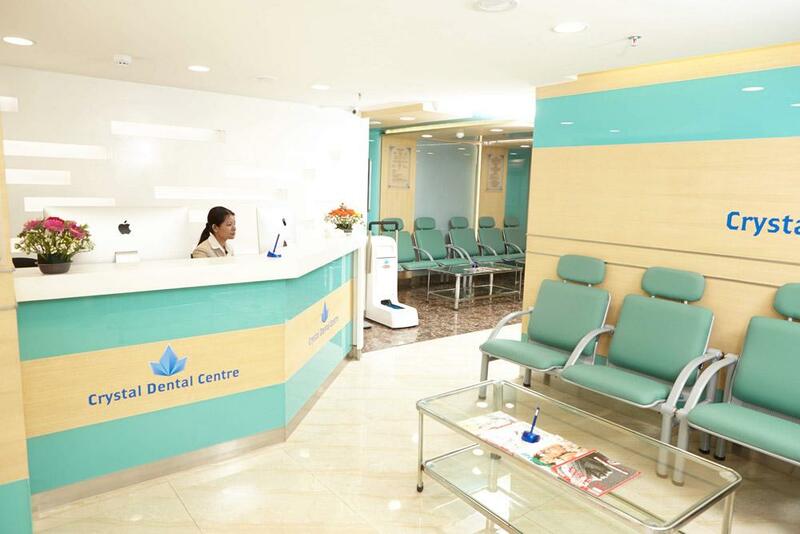 This method of dental treatment is convenient and superior over traditional methods because multiple visits to doctors can be avoided as in case of traditional methods. Bone grafting and sinus augmentation can be fulfilled. This process reduces or eliminates bone resorption, the overall cost of the implant can be reduced in comparison to traditional methods. This method significantly reduces healing time.